(PhysOrg.com) -- Yale University researchers have discovered a novel viral survival strategy, an insight that could help scientists better understand how viruses contribute to diseases such as cancer and AIDS. Viruses have developed a substantial bag of molecular tricks that help them hijack a cell’s own internal machinery and reproduce in huge quantities. Many of these tricks help the virus insert genetic instructions coded by DNA or RNA into the host cell and fool the cell into mass-producing copies of the virus. However, the newly discovered trick, reported in the June 18 edition of the journal Science, involves tiny snippets of genetic material called microRNAs that do not code for gene products. Instead, these non-coding RNAs regulate the activity of other genes. The Yale team found that Herpesvirus saimiri, a virus that infects monkeys and can cause cancers, seems to have copied other non-coding bits of RNA from the host cell. One of these non-coding RNAs adopted by the virus interferes with the ability of microRNAs made by the host cell to regulate its own genes. Joan Steitz, Sterling Professor of Molecular Biophysics & Biochemistry and HHMI Investigator and her Postdoctoral Fellow Shobha Vasudevan discuss their recent findings on microRNAs acting as activators as well as repressors of gene activity. The function of the affected pathway has not been determined, but Steitz notes that some evidence points to the regulation of the cell cycle, which would be of interest to cancer researchers. 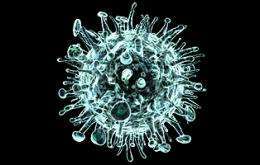 Also, the virus studied behaves in some ways like HIV, so the findings might assist in AIDS research. So we've been focusing on the coding DNA and RNA all this time, and dismissing the non-coding stuff as "junk DNA". And now it's starting to look like this "junk DNA" may in fact be the master DNA which controls the rest! To use a software metaphor, we may have been focusing on the lowest-level subroutines and dismissing as "junk" the main program which determines how those subroutines fit together to form a complete entity. They say only a few percent of our DNA differs from that of an ape's... but I wonder what that percent would be if we looked only at the high-level "regulatory" DNA hidden within the junk DNA? If such DNA really does constitute the "main program" defining a human, then of course the non-junk DNA would be the same between us and apes. This would be analogous to two computer games from the same game developer using the same underlying code library (especially if one game "evolved" from the other) -- and that library usually makes up the bulk of the code! We know the order of bases in our DNA, and sequencing a genome is getting relatively easy, but we still have a long way to go in understanding what they do exactly. This is the problem with looking at symbolic logic as being ever equivalent to life. So beyond a certain point, and almost all the software you use is well beyond that, life and software are equally squishy. What I'm missing in this article or in the interview is how the positive control of the microRNA occurs. One of the researchers mentioned control of translation, but how exactly that controls is done: is it by modifying ribosome so it can fabricate the polypeptide faster?! Or did she mean transcription (not translation) where the microRNA-protein complex causes more messenger RNA to be produced? (BTW, I also missed the point how does the virus action relates to that positive control of the microRNA.) In other words, I thought that as soon as the mRNA gets out of the nucleus, microRNA complex can only stop or slow it down before it gets to be translated. How can it speed it up? It can not replicate mRNA outside the nucleus, can it?! Or maybe, microRNA complex helps the mRNA gets quicker or more directly to the ribosome?! ... or maybe the microRNA complex (like the one from the virus) is interfering, in case of positive control, with cells machinery that tries to limit creating of certain proteins? So for example, a cell has some proteins or other microRNA complexes that interferes with some type of mRNA but viral micoRNA fights with the cell microRNA and allows the mRNA to be translated into the protein without interferance. A microRNA war?